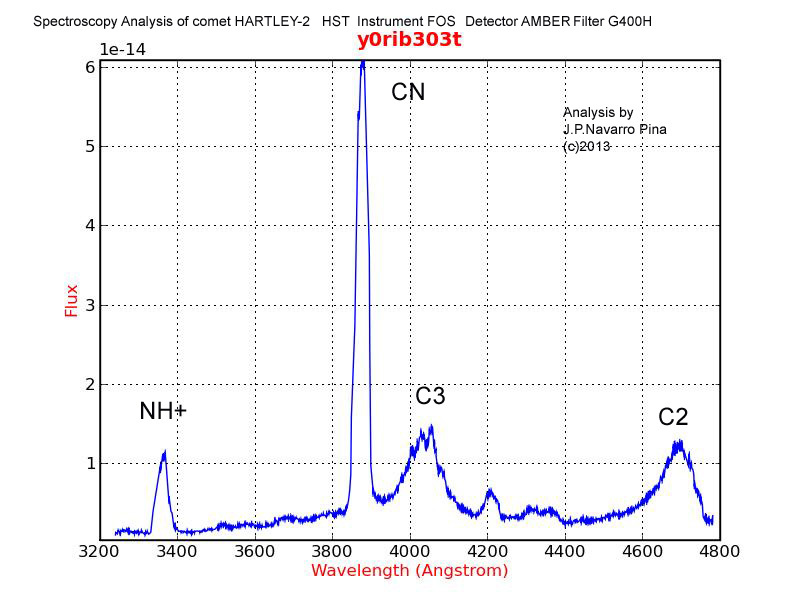 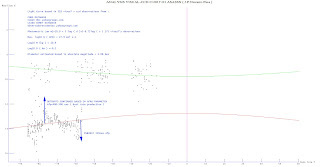 I analyzed the spectrogram of comet 103P/HARTLEY-2 from spectroscopic's dates of HST HUBBLE SPACE TELESCOPE , instrument FOS , detector AMBER , and filter grosm prism G400H . 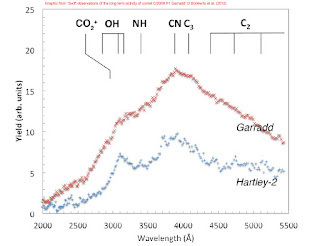 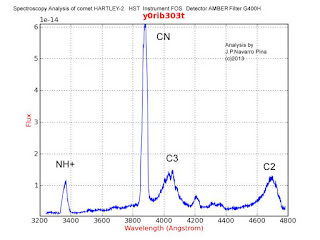 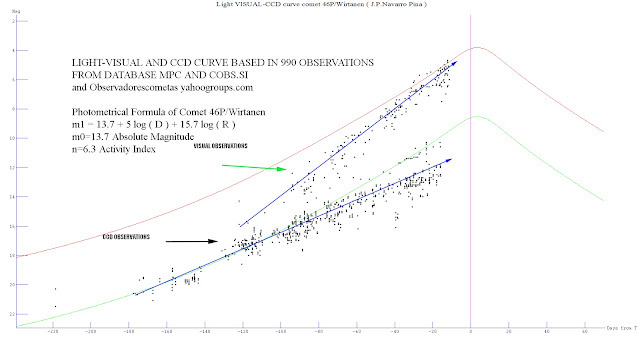 In the hyperactive comet 103P/Hartley-2 , it was found that CO2 is the primary driver of activity , expelling quantities of sublimating ice grains , the comet 103P is very gas-rich , my personal analysis found high level flux of CN gas and low's levels of C3 ,C2 and NH . 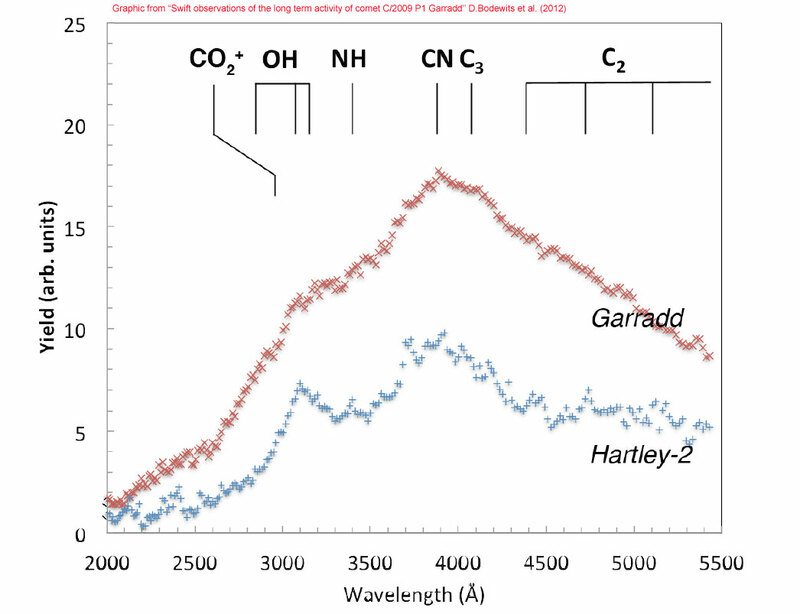 CREDIT : NASA/HST image .